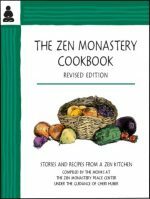 Zen techniques, from a renowned Zen teacher, to derive greater satisfaction from life. Are you making choices that are supposed to give you what you want but leave you feeling unfulfilled and disappointed? This new book is based on the Buddha’s teachings and the practice of Zen, and breaks down the structures of this karmic process. Written in a humorous and lighthearted style, it illustrates through essays, stories, and examples what keeps us from choosing well-being, love, happiness, and joy as our life experience. 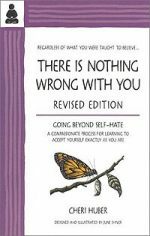 In addition, the book contains a full year of practical exercises and nuggets of wisdom from those who have practiced with these teachings. Are you aware of niggling dissatisfaction, no matter how perfect your life? Do you try to fix your life, or yourself, so that the undercurrent of “something wrong” isn’t there? Do you make choices that are supposed to give you what you want but leave you feeling unfulfilled and disappointed? Do you wonder why that is so? This book gives you the answer! 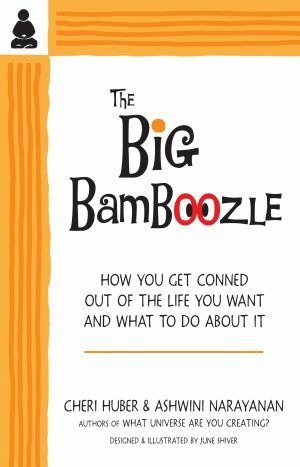 The Big Bamboozle reveals what keeps us in dissatisfaction and stops us from choosing happiness and joy. 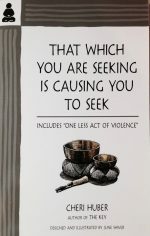 Based on the Buddha’s teachings and Zen Awareness Practice, this book explores through essays and practical exercises how we are conned out of the life we want. Cheri Huber, author of 23 books on Awareness Practice, has been a student and teacher of Zen for more than thirty years. She founded the Zen Monastery Peace Center and Living Compassion. Under Cheri’s guidance, Ashwini Narayanan oversees the offering of practice through both organizations, as well as creating and facilitating retreats. This is their third book collaboration.